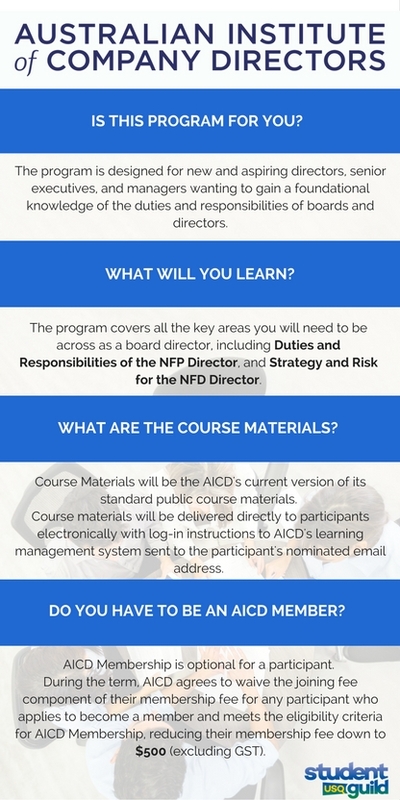 Governance Foundations for Not-for-Profit (NFP) Directors Course by Australian Institute of Company Directors. The event is fully catered. 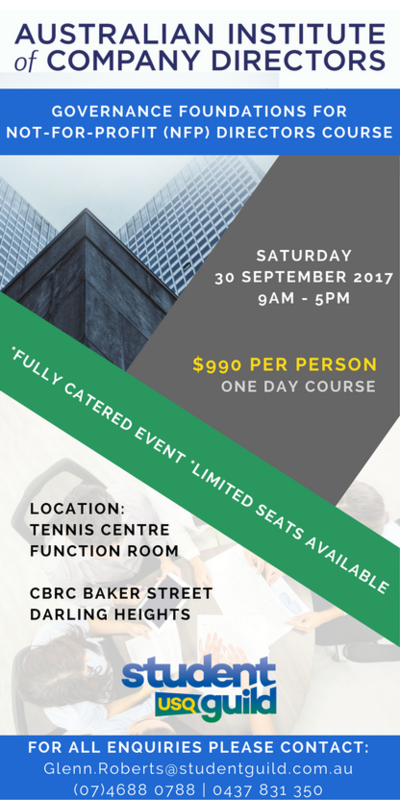 Limited seats available. Enquire now, email: Glenn.Roberts@studentguild.com.au.